A fun way to upcycle your mundane glass bottles. Participants will be able to not only learn how to paint with acrylics on a new surface but will also learn the basics of moulding clay. This could be rejuvenating, therapeutic and just delightful! Come spend your Sunday creating together! 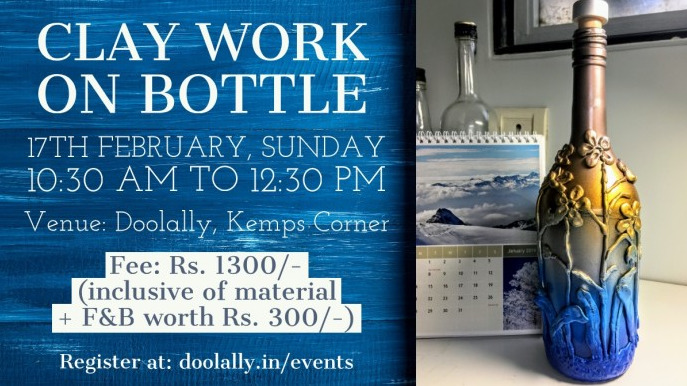 Share "Clay Work on Bottle "